With a few exceptions it’s always good to see a dragon appearing from behind the midday sun, especially if their task is to offer free spins and other bonus features as in Gemstone Dragons, this online slot from Leander Games; keep reading to find out all about its fire-breathing characters. 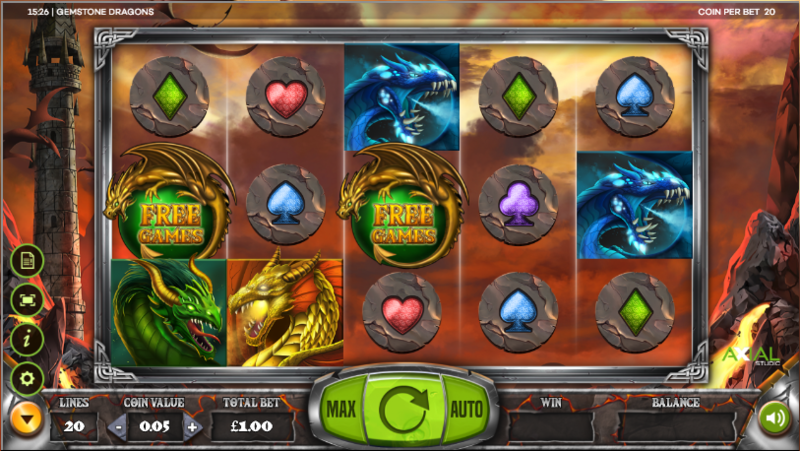 Gemstone Dragons is a five reel slot with three rows and twenty fixed paylines; all the action is set in some fantasy, mediaeval setting with lofty spires rising above the rocks and lava below. The higher value symbols are the four dragons of this story – emerald, sapphire, topaz and amethyst – while the lower values are represented by playing card symbols in similar colours set in stone. 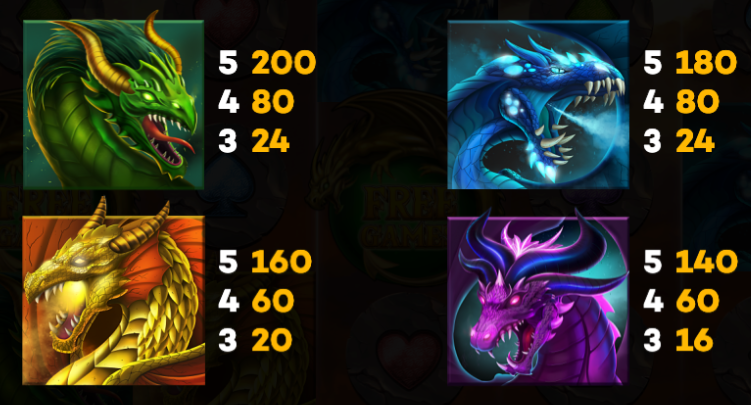 The large dragons eye is wild and it will substitute for all others to help form winning matches except for the Free Games and Bonus symbols. Emerald – a sticky wild which locks in place for the round. Sapphire – a wild which explodes to create more wilds. Topaz – up to fourteen wilds are added to the reels. Amethyst – it will fill up the whole row it lands on. Any scatter symbol landing during this round will award one extra free spins. 100 – 1000 coin prize (500 – 2000 in free spins). 5, 8 or 12 free spins (an extra 1, 2 or 3 in free spins). Both of the above prizes. Gemstone Dragons is a great-looking slot with some clever bonus features and an imposing atmosphere once you’ve cranked up the soundtrack; it’s certainly one of our favourite Leander games so far so check it out!